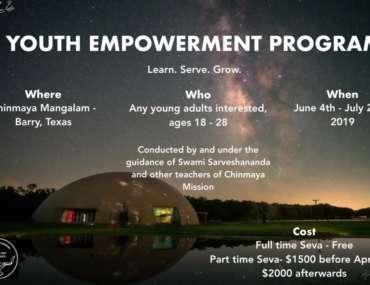 The seeds of “The Chinmaya Movement” were laid in Vancouver B.C., in 1972 when Pujya Gurudev Swami Chinmayanandaji was scheduled to arrive for a series of three lectures at Simon Fraser University. The organizer, Mrs. Menon suddenly had to fly to New York and so Mr. and Mrs. Kapahi got the golden opportunity of hosting Gurudev. 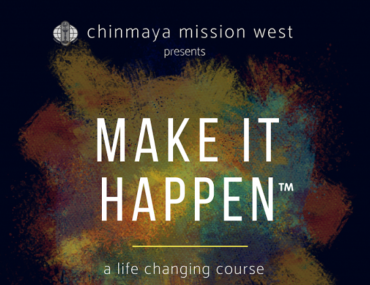 This accidental incident proved to be a turning point in their lives and of the Chinmaya movement in Vancouver. Since then regular study classes have been conducted in Vancouver by various Acharyas. Inspired by Pujya Gurudev, Robyn Thompson joined the two year Brahmachari course in Sandeepany Sadhanalaya, Mumbai. Brni Robyn returned to Vancouver in 1986 and conducted regular study classes which were held first at Mr. and Mrs Deshpandeï¿½s residence and later on at Mr and Mrs Kapahiï¿½s residence. Brni Robyn now conducts regular classes in Victoria. 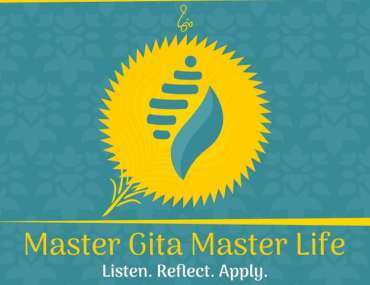 Jaya Muzumdar conducts weekly study groups for different levels and monthly adult study classes in Vancouver and Seattle. The mission has grown rapidly and we have at least two Jnana yagnas every year. We also have classes running for children, youth and adults alike. Inspired by Pujya Swami Tejomayanandaji’s discourse on Chapter 12 of the Bhagwad Geeta Jaya Muzumdar joined the Chinmaya Mission, Vancouver in 1988. She remained an active listener for 11 years while her two children were growing up and in 1997 joined the board as Treasurer. She took over as President in 2003 and since then has been managing the administration of the Mission while continuing studies on her own. In the year 2008 Jaya joined the 2 year Vedanta course in Mumbai. 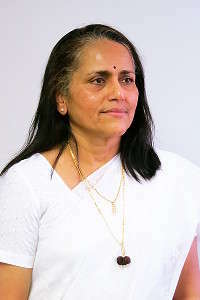 Having successfully completed the course by the grace and blessings of Pujya Swami Tejomayanandaji, she returned to Vancouver as President of the Mission. In 2015, Jaya resigned as the President but continues to teach spiritual texts at our centre in Vancouver. Classes are held on Wednesday and Friday evenings and Saturday and Sunday mornings in Vancouver and Burnaby. Jaya also takes a class on Skype every Monday evening for our Calgary mission Members. For further information, please refer to our website or call her at 604 325 9390.